FFA - CAIR asks national membership to bombard North Carolina Governor Pat McCrory with emails urging him to veto anti-Sharia legislation. The email for this issue was deactivated after the Governor allowed the bill to become law without his signature. 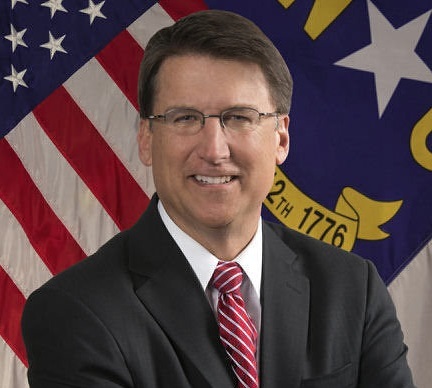 The national office of the Council on American Islamic Relations sent out an email call to action asking their national membership to urge North Carolina Governor Pat McCrory to veto HB 522 entitled Application of Foreign Law. HB 522 prohibits North Carolina state courts from considering certain provisions of foreign law including Islamic Sharia law. The following states have already enacted similar legislation modeled after American Laws for American Courts (ALAC) language offered by the American Public Policy Alliance: Arizona, Kansas, Louisiana, South Dakota, Oklahoma, and Tennessee. Alabama legislators placed a similar measure on the 2014 ballot for voters to consider adding the restriction to the Alabama Constitution. TheState.com reports: NC Muslims hope Gov. Pat McCrory vetoes anti-Sharia bill. One of CAIR’s top agenda items is to defend Sharia law from being restricted in the United States. Thus far, CAIR’s rhetoric has resonated with some overly politically correct legislators resulting in numerous states rejecting legislation proposed by ALAC. The hardcoded portion of the email prepared by CAIR for their national membership to send to Governor Pat McCrory states in part: The bigoted nature and origin of this bill is the predominant reason why it was overwhelmingly rejected in Florida, Alabama, Virginia, Texas, New Jersey, and Minnesota, and was let expire in eleven other states. Florida Family Association has prepared an email for you to send urging North Carolina Governor Pat McCrory to sign HB 522 Application of Foreign Law into state law.